Please find below the the Brentwood Chamber of Commerce application form which should only take 10 minutes to complete. It is important that all sections of the form are completed to ensure that your application is presented at the next Executive Committee Meeting for approval, which is normally held on the 2nd Thursday of the month. Please follow instructions in the sections below to help guide you on content. It is important to flag here that the information provided in certain sections can be tagged as ‘public’, which will create your online profile for our Members Directory (once approved as a member). To ensure the Chamber has the appropriate direct contact details for furture correspondance, please add any additional information that you do not wish to be shared with the public using the ‘private’ tag. Name Section: Please include your full business/organisation’s name with main contact name whom the Chamber will liaise going forward. It is also important to list how many full time equivalent (FTE) staff are employed in the ‘Number of staff’ section or please provide your registered charity number in this box in order for the Chamber to invoice correct subscription fees. Category Section: Please select the industry type that best reflects your organisation/business as this will be useful for people searching for organisations/businesses within our online Members Directory. Logo Section: Please upload your logo image that you wish to appear on the online Members Directory. Address Section: You will note the ‘visibility’ option to display information as Public or Private. Please therefore add the address details that you wish the public to access via our online Members Directory and add any address details with private status to ensure the Chamber are corresponding directly with you. Phone Number Section: You will note the ‘visibility’ option to display information as Public or Private. Please therefore add the telephone numbers that you wish the public to access via our online Members Directory and add any additional numbers with private status that you wish the Chamber to be able to contact you directly on. Email Address Section: You will note the ‘visibility’ option to display information as Public or Private. Please therefore add the email addresses that you wish the public to access via our online Members Directory and add any additional email address details with private status that you wish the Chamber to be able to contact you on directly on. Social Media IDs Section: It is important here to share your social media platforms (Facebook, Twitter, Instagram and LinkedIn) and indicate if you wish to share this on your online Members Directory profile by selecting the private or public status. Links Section: It is important here to add your website details and indicate if you wish for this to appear on your online Members Directory profile by selecting the private or public status. Biographical Information Section: This is crucial to providing insight into describing your business/organisation and what you do. This description will also be displayed within your online profile. 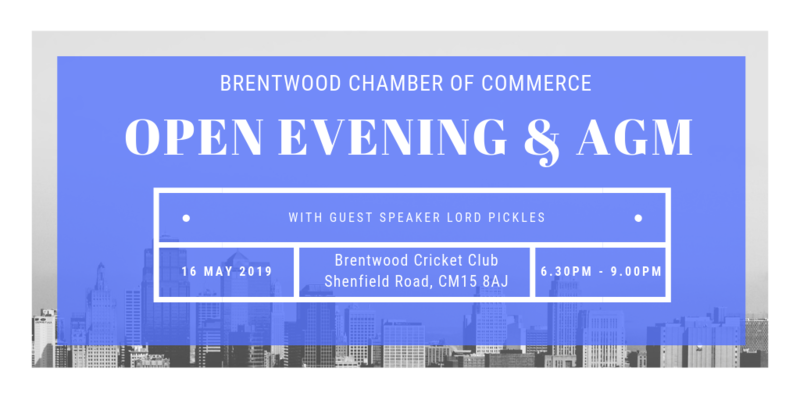 In addition, please can you also state your reasons for wanting to join the Brentwood Chamber of Commerce and the source of your application i.e. referral, online search etc. this information will not be included in your online profile but is important for our own research purposes.